You can also buy the game for 70% off! Interested in trying out Ubisoft’s tactical shooter, Rainbow Six Siege? Well, you can try it out for yourself this weekend as Ubisoft is holding another Free Weekend for Rainbow Six Siege now until November 19! Much like previous Free Weekends for the game, everyone will have access to all maps, modes, and the 20 Original operators without spending a single cent. Players who play during the free weekend will also have their progress carry over if they choose to buy the game. And buy the game you should! Rainbow Six Siege may have had a slightly rocky start when it was first released in 2015, but the game is currently one of the biggest multiplayer tactical shooters in the market right now. Plus, Rainbow Six Siege’s Starter, Standard, Advanced, Gold, and Complete Editions are on sale for 70% off! You better hurry though, as the game is on sale only until November 28, 2018. 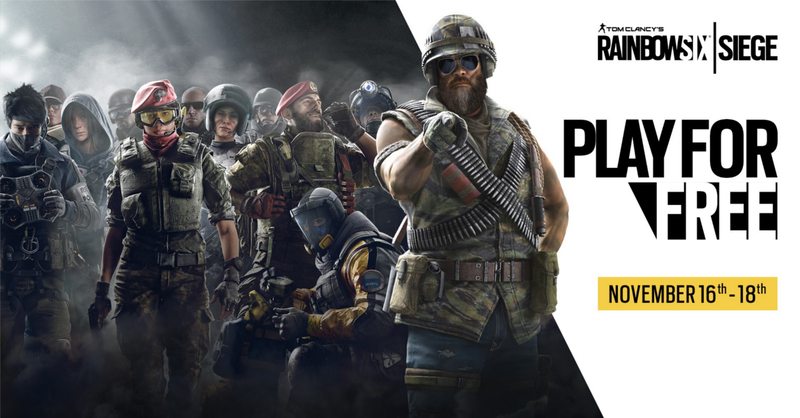 For more information on the Rainbow Six Siege free weekend, visit http://rainbow6.com/freeweekend. Previous articleHuawei celebrates launch of new concept store with a 1 Peso Sale! Next articleAnime and Streetwear collide in the Bape x Naruto collection! Razer celebrates another CES win with a 50%-off SALE!